On directing the attorney general to withdraw Wisconsin from pre-existing conditions lawsuit. By D.L. Davis on Friday, January 25th, 2019 at 7:31 p.m. Under Republican Gov. Scott Walker, Wisconsin is one of 20 states in the lawsuit, which was filed in February 2018 in Texas. In December 2018, a federal judge in Texas ruled in the states’ favor, saying Obamacare is invalid, but the ruling will not take effect while the matter is appealed. On Jan. 4, 2019, House Democrats officially filed a motion to intervene in the lawsuit in defense of Obamacare. After Evers beat Walker in the November 2018 election, the Republican-controlled Legislature passed a lame-duck measure that gave lawmakers -- not Evers -- the final say on whether Wisconsin remains in the lawsuit. "There is thus no provision in (a statute cited by Evers) allowing the governor to request, require, or approve the attorney general to compromise or discontinue an action," wrote Sarah Walkenhorst, an attorney with the bureau. In a case such as this one, only the Legislature’s Joint Finance Committee has the power to decide to end Wisconsin’s participation in the case, she wrote. She drafted the memo at the request of Senate Majority Leader Scott Fitzgerald, a Juneau Republican. While Republicans argued Evers had asked Kaul to take an illegal action, Evers spokeswoman Melissa Baldauff said Jan. 23, 2019 that the governor "has not directed the attorney general to take any specific course of action; he has simply withdrawn his authority for this lawsuit." The next day, Jan. 24, 2019, Kaul asked lawmakers to end the state's involvement in the lawsuit to overturn the Affordable Care Act -- further evidence that Evers couldn't do what he said he did. One day later, Jan. 25, 2019, Evers said he ‘always believed’ Kaul would seek permission to withdraw from the lawsuit. "There's nothing inconsistent with what I said and what was actually going to happen," Evers told reporters in Milwaukee. "I always knew that Josh Kaul was going to the Joint Finance Committee." 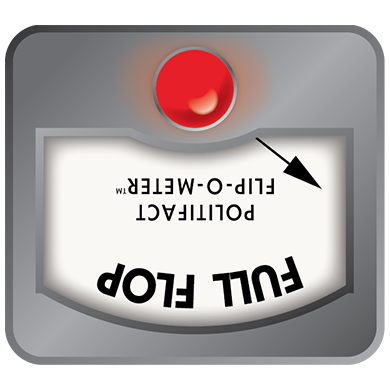 At PolitiFact, we use the Flip-O-Meter to measure whether politicians have been consistent on an issue. Here we are looking narrowly at the question of directing Kaul to withdraw the state from the lawsuit. Published: Friday, January 25th, 2019 at 7:31 p.m.
Milwaukee Journal Sentinel "Gov.-elect Tony Evers to tour state next year as he makes case for Obamacare expansion," Nov. 28, 2018. Milwaukee Journal Sentinel "Wisconsin GOP makes lame-duck moves to strip incoming Dems’ power: What you need to know," Dec. 5, 2018. Milwaukee Journal Sentinel "Gov. Tony Evers and Republicans square off over BadgerCare as Evers backs off plan to dissolve WEDC" Jan. 15, 2019. Milwaukee Journal Sentinel "Gov. Tony Evers says he’s seeking to get Wisconsin out of Obamacare lawsuit in first State of the State speech," Jan. 22, 2019. 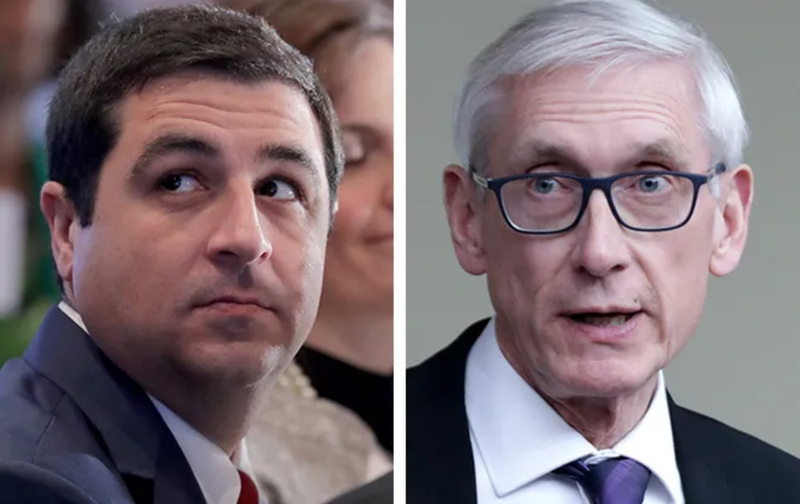 Milwaukee Journal Sentinel "Tony Evers reverses course, won’t direct Josh Kaul to withdraw from Obamacare lawsuit after all,"Jan. 23, 2019. Milwaukee Journal Sentinel "Josh Kaul asks lawmakers to withdraw state from lawsuit to overturn the Affordable Care Act," Jan. 24, 2019. PolitiFact Wisconsin "Introducing PolitiFact Wisconsin’s ‘Evers-O-Meter,’ tracking the campaign promises of Tony Evers," Jan. 21, 2019. PolitiFact Wisconsin "Wisconsin Gov. Tony Evers flips position on dissolving WEDC," Jan. 17, 2019. Reuters "Twenty states sue federal government, seeking end to Obamacare," Feb. 26, 2018. The Hill "House formally moves to intervene in ObamaCare lawsuit," Jan. 4, 2019. CNBC Nancy Pelosi launches House effort to save Obamacare from death in a Texas court case,"Jan. 4, 2019.